Your PC’s IP address represents your Unique identity on the internet . Sometimes there can be many reasons why you would need to change your IP address . You might have to change your IP address for security reasons or maybe for troubleshooting a network problem . Here are five easy methods by which you can change the IP address of your pc . 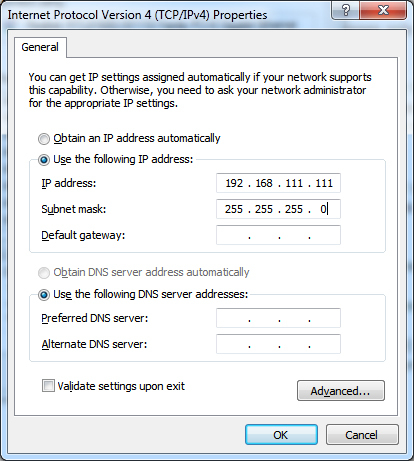 Note: This method Works with Dynamic IP addresses only .If you have a Internet connection with a Dynamic IP ( Usually most ISP’s provide dynamic IP addresses ) , then Resetting your router or modem will be the easiest method to change the IP address of your PC . All you need to do is Restart your Router or modem by switching it off and on again . Once your Router or modem turns on , your PC will be allotted with a new IP address by your ISP . This method can be very useful for bypassing the download limits on certain file sharing sites with a hourly download limit . Step 1: Locate the ON/OFF switch of your router /modem , which is usually placed behind your Router /modem . Step 2: Press it once to turn off your Router / modem . Wait for a minute or two and then press the button again to restart your router / modem . Now connect to your ISP with the Login details and you should have a new IP this time . Note: This method Works with both Static and Dynamic IP addresses . Proxy servers are a great way of hiding your personal identity online . When you are using a proxy server , you are actually surfing the internet using the Proxy servers IP address . Not only this method changes the IP address of your computer but at the same time it enables you to surf anonymously on the internet . Read: How to find Proxy Server and use them on your PC . VPN or Virtual Private Networks are a highly secure method of accessing the internet . Most corporate business use VPN because of their highly anonymous and secure process of transmitting data across various networks . Nowadays VPN”s have become very affordable and a monthly subscription for a good VPN service will cost you around 5$ or less . Although you do not require to change your IP address here . 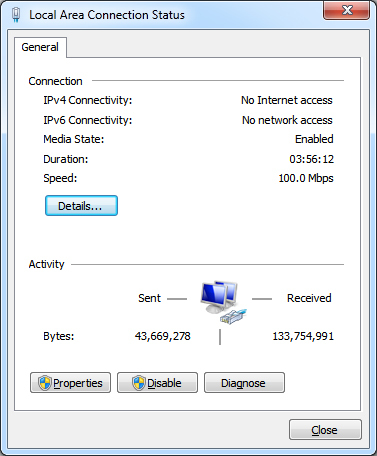 The VPN program or software provided by your VPN service provider will automatically change the IP address of your PC . Further you will also be allowed to choose from different IP addressed located across the globe . Read: 5 Best free VPN services . Note: This method Works with Dynamic IP addresses only . You can also use the command prompt to forcibly change your Router’s ip address . Using the ipconfig / release and ipconfig / renew command in Windows , you can easily change the IP address of your PC . 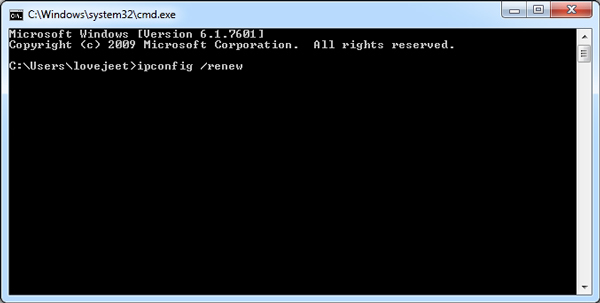 Simple follow the instructions below to change your IP address using the command prompt . Step 1: Click on your windows start icon , type “cmd” (without quotes) in the search box and press enter to open Command prompt . 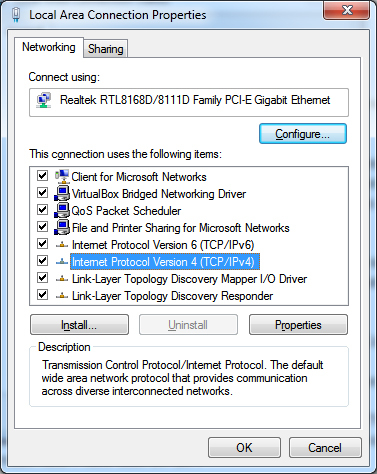 Windows allows users to manually change the Ip address of any LAN connected to your PC from the windows control panel . Using the Control panel you can manually define an IP address for your PC , which will be very useful for connecting your PC with multiple devices to share files and folders . Note: This method will only work if your PC is being assigned an external IP , not your router . Most cable internet services do not require a router or modem , in that case this method will work . If your PC is getting the Public IP then you can follow the instructions below to change the IP address of your PC . Step 1: Open network and sharing center by Selecting the following Start >Control panel > Network and Internet > View network and Sharing center . 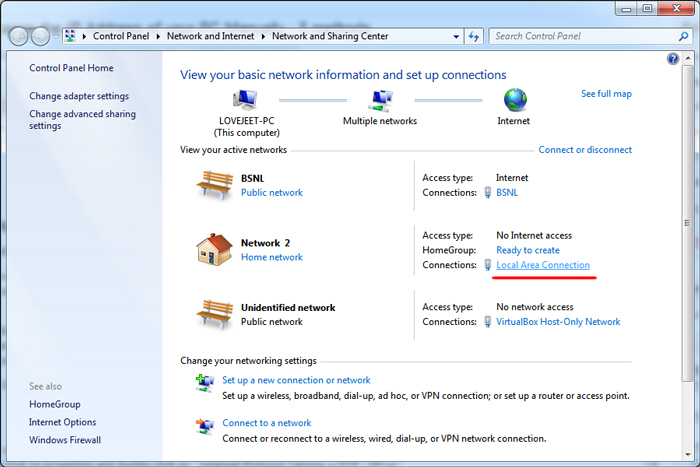 Step 2: Under active networks click on your current connection to bring up the LAN connection status window and click on properties . Step 4: Select use the following IP addresses , enter an IP address of your choice and press the TAB to populate Subnet mask field . Now click on ok . Step 5: From the Local area connection properties again double click on “Internet Protocol Version 4 (TCP / IPv4) “ and select “Obtain an IP addressautomatically “ . 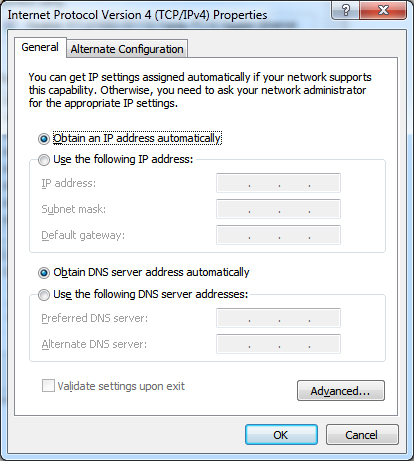 Step 5: Now click on OK and surprise the IP address of your computer will be changed .